SCVHistory.com LW2032 | Ridge Route | Sandberg's Summit Hotel. 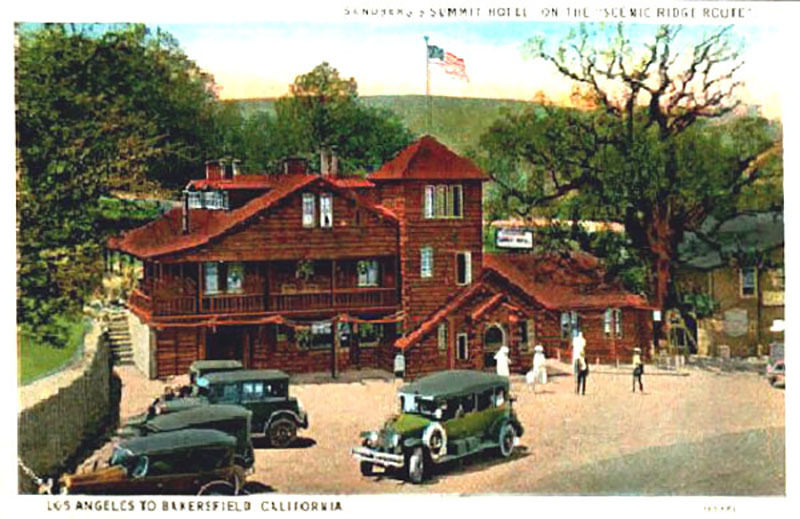 Sandberg's Summit Hotel, which once stood along the old Ridge Route between Castaic and Lebec. Postcard, probably 1920s, by Western Publishing & Novelty Co. of Los Angeles.